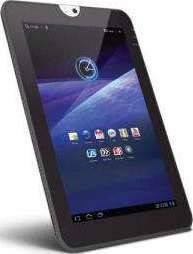 Introducing the Toshiba PDA01U-00101F Thrive„¢ 10" Tablet, offering a better way to browse the web, enjoy e-books and HD movies, play games, hear music and more. Complete, convenient and customizable, it's everything a tablet can and should be, with features you can personalize, plus speedy performance so you can multitask your way through your digital life (and favorite entertainment) with ease. We offer express delivery to Dubai, Abu Dhabi, Al Ain, Sharjah, Ajman, Ras Al Khaimah, Fujairah, Umm Al Quwain, UAE for Toshiba PDA01U-00101F Thrive 10. We offer the best price for Toshiba PDA01U-00101F Thrive 10 in Dubai, UAE. Buy now with the best price!